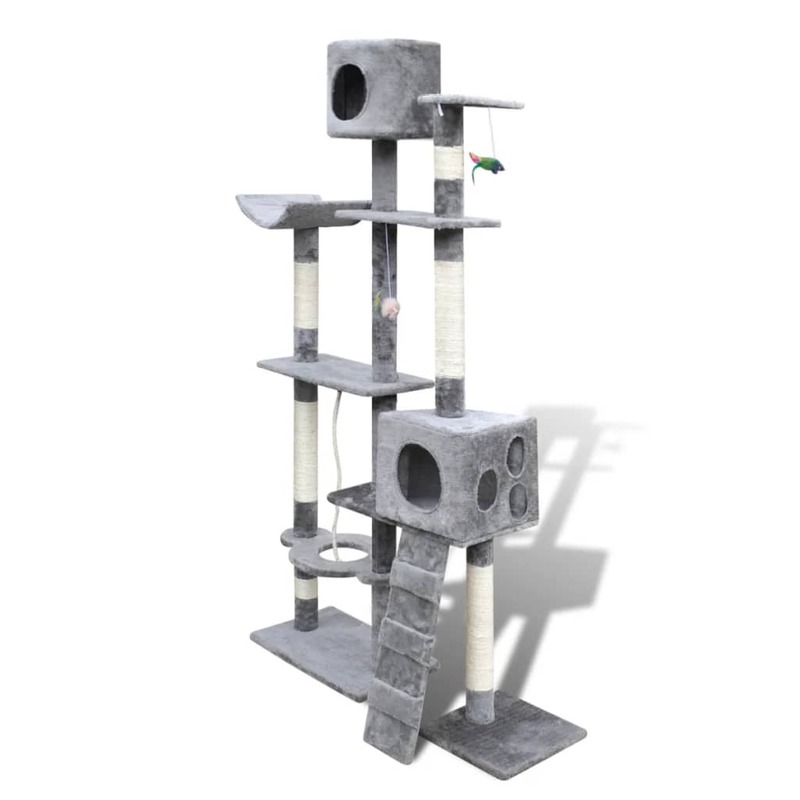 This is a complete and comprehensive cat tree that offers a fantastic playground for a couple of cats at once. It provides your cats with so many features, so that they will leave your drapes and carpet untouched. Your cats will thank you with endless purrs if you bring this cat tree topper in your home. 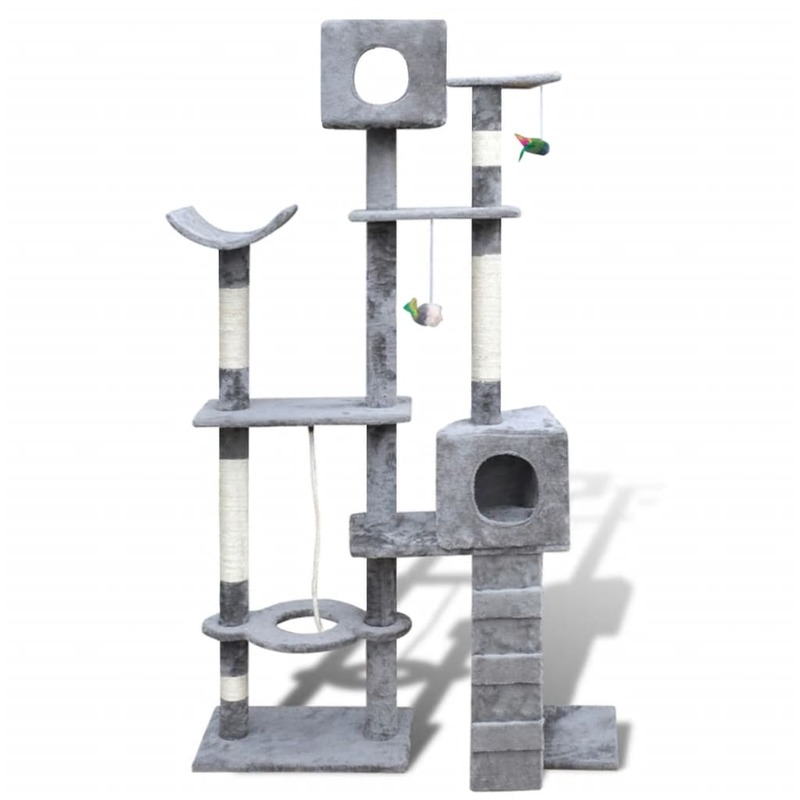 This fully-equipped cat tree has 3 play-strings, 1 ladder, and multiple decks where your cat can rest and play comfortably. There are also two condos where your cat can hide safely. The whole cat tree, entirely covered with very soft plush and sisal, will keep your cat busy for hours. 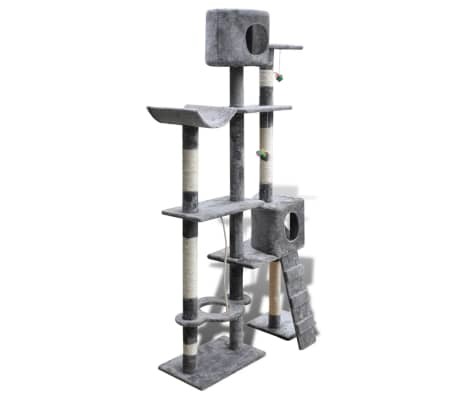 This cat tower is characterized by very good workmanship and a stable construction, which in combination ensure its years of service. This cat tree is also easy to maintain and assemble.